Television debates have now firmly established themselves as part and parcel of the British political process, even if Prime Minister David Cameron has tried to avoid a repeat of the 2010 head-to-heads with Gordon Brown and Nick Clegg, at which the Liberal Democrat leader established himself as the exciting new kid on the block. 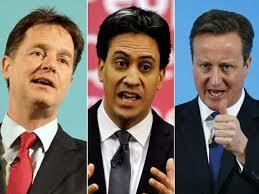 Cameron, Clegg and the new Labour leader, Ed Miliband, provided an hour-and-a-half of stimulating entertainment on BBC1 last night, in a Question Time special, even if the format was a series of half hour sessions with each in turn facing David Dimbleby and a feisty studio audience in Leeds rather than a genuine debate. Cameron went first, but as so often when he is interviewed he looked uncomfortable, even petulant at times. He avoided answering the question about exactly where a Conservative government would find an extra £12bn in welfare cuts and kept on insisting that the Tories were aiming for an overall majority on 7 May, even though not a single opinion poll in recent months has suggested that is possible. He is unlucky in that his face is so smooth that it looks somehow unhuman, though I’ve always thought the Guardian cartoonist’s caricature of him wearing a condom over his head somewhat cruel. Miliband was the most eagerly awaited, to see how he would fare, but I am sure I was not the only viewer astonished when he categorically ruled out any “deal” (let alone a Coalition) with the Scottish Nationalists — something the opinion polls suggest is almost inevitable if he is to get to No 10 Downing Street. He even said he would rather not be Prime Minister than have an arrangement with the SNP — a statement he may well live to regret. He echoed a phrase of David Cameron’s about secret Coalition talks in darkened rooms, similarly ignoring the fact that most of the British electorate has realised that we have moved into an era of Coalition politics in Britain, whatever the Labour and Tory leaders might wish. As he left the tiny raised stage Miliband slipped and almost fell onto a member of the audience. Metaphorically, he had indeed tumbled, and I suspect this will be the last time he is seen on a Leaders Debate. Nick Clegg had the great advantage of coming last and even if he no longer has the novelty appeal of 2010 he is a consummate performer. An inevitable hostile question about tuition fees started off his interrogation, but he swiftly turned his response into a catalogue of the good things Liberal Democrats have done in government. He spoke eloquently about why he believes Britain must remain a member of the European Union (winning loud approval from The Economist on twitter) and came over not only as the only true internationalist of the three but also the only really human being. He was also the only who managed to make a joke that got the audience laughing, by suggesting that Cameron and Miliband ought to go and lie down in a darkened room if they thought they were capable of getting an outright majority. I may understandably be accused of bias but I do feel he “won” the debate. And it was definitely Ed Miliband who came off worst. 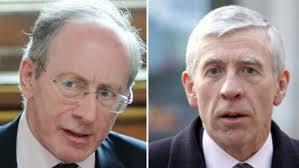 Channel 4’s sting operation that entrapped Jack Straw and Sir Malcolm Rifkind has yet again highlighted the dangers posed to Britain’s parliamentary democracy by the temptations of cash for questions or of lucrative consultancies. Both men involved his time had been Foreign Secretaries, one Labour, one Tory, and already have opportunities to make a good living from paid speeches and other side activities to their work as an MP, and in Sir Malcolm’s case, the chairmanship of an important committee. But human greed is sometimes difficult to resist, rather like sexual desire. This sad affair is yet another nail in the coffin of the public’s respect for politicians, five years after the raft of scandals relating to MPs’ claiming of expenses. So what can be done about it, to improve the integrity of the system? Labour’s leader, Ed Miliband, has suggested that MPs should be barred from having outside jobs or consultancies, which is a drastic but plausible solution, yet a difficult one to impose unless MPs salaries rise (as the independent body dealing with such matters has recommended). I suspect that few people will have much sympathy with Sir Malcolm’s lament that it is impossible to live on £60,000 a year, but it is true that MPs’ remuneration does not compare favourably with business salaries and bonuses, which acts as a disincentive for entering politics for those with the capacity to be high-flyers. I believe that being an MP should be a full time job — and indeed most of them do work extremely hard — and there needs to be some curb on those who frankly abuse the system, even if they are not breaking any rules. According to one report, former Prime Minister Gordon Brown, for example, earned a million pounds last year; he certainly was not seen much in the House of Commons, so his electors might a reason to feel aggrieved. It is maybe not feasible to ban all outside paid work — including media fees — for MPs, but the temptation to be moonlighting or taking up consultancies that might create a conflict of interest with the duties of an objective legislator representing his or her constituents is so great that maybe it will only be solved if MPs are paid a market rate and the rules about outside income are tightened. Westminster Liberal Democrats may not have any local councillors, yet — though watch Bayswater ward closely next May! But they do have some dedicated and moreover interesting members, which means that their annual dinners are always particularly enjoyable. That is also due to the fact that these dinners have been hosted in recent years by Huseyin Ozer, proprietor of the Sofra restaurants, at his home base establishment in Covent Garden. When someone said that one of the items on the menu was Hittite rice I thought they must have misheard/misread, as my mind wandered back to T.E. Lawrence’s work on Hittite remains at Carchemish before the First World War. But they were quite correct, and the Ottoman (sic) delicacies that accompanied that rice were indeed fit for a Sultan. 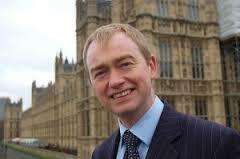 No Sultan being available, we were treated to the next best thing: Tim Farron, President of the Party. Before the meal Tim apologised to me that I had probably heard his speech before (well, we do both get around on the circuit), but amazingly I hadn’t (well, most of it, anyway). He has an engaging breezy style with a slightly cocky Cumbrian edge, which I can appreciate having spent (wet) holidays in the Lake District as a child. He doesn’t do bad language, but has a habit of using the word “flipping” where others might resort to something a little spicier. But the core of his message was that the party must go into next May’s European elections (for which he is the national supremo) confidently as the party of IN. Tim was not entirely complimentary about our Conservative Coalition colleagues, including the Prime Minister, but then such differentiation is now inevitable as we enter the final 18 months of the Westminster parliament, let alone the six months to next May’s European elections (combined with all-out borough elections in London). I have never met David Cameron, though I am sure he would be socially charming, but as a Lancashire lad myself originally I can understand those who look at him and feel he has no core beliefs other than that he believes people like himself should be in charge. Actually, to me that is still far less objectionable than the dreadful Tony Blair, with his Messianic certainties, or indeed the angst of poor Gordon Brown (whom I did meet), who lumbered into the premiership far later than he would have liked with all the finesse of a bear chasing bees from a honeycomb. Anyway, despite mediocre opinion poll ratings averaging around 10 per cent (we have been in places much worse than that in our history), membership of the Liberal Demorcats is on the up and if we say the messages loud and clear enough, we should get across the fact that thanks to Liberal Democrats the tax threshold has gone up, the pupil premium has helped thousands of kids from disadvantaged backgrounds (including in my own borough, Tower Hamlets), and the 3,000 children of asylum seekers whom Labour had locked up are for the great majority now at liberty. Baron Carlile of Berriew — the former Liberal MP for Montgomery, Alex Carlile — is one of the LibDems’ most distinguished but also controversial Members of the House of Lords, which is one reason why he attracted a particularly large attendance at the Kettner Lunch at the National Liberal Club today. Another reason is that Kettner Lunch regulars have enjoyed his performances three times in the past and were therefore keen to experience another one. The reason for Alex’s ‘controversy’ — as well as a major element of his distinction — is that after 9/11 and up until early last year, he was the Government’s Independent Reviewer of the UK’s anti-terrorism laws, thereby effectively advising Tony Blair, Gordon Brown and David Cameron in turn on the sensitive issue of national security. This sometimes put him at odds with LibDem Leader Nick Clegg and other parliamentary colleagues who have taken what they consider to be a more ‘liberal’ line in relation to matters such as the rights of terror suspects, privacy and data retention. To an extent those disagreements are ongoing, given the legislation now before Parliament relating to communication data and so-called Closed Material Procedures, included within the Justice and Security Bill. 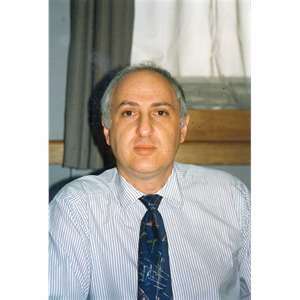 Alex believes, on the basis of his experience at the Bar, as well as his inside knowledge of issues relating to counter-terrorism, that it is important for the defence of a liberal society that the intelligence services and the Police, where appropriate, can have access to certain information — for example, relating to a suspect’s location at a particular moment, which these days can be discovered from retrieved mobile phone ‘cell site’ records. Similarly, he argues that there are instances when the prosecution of alleged terrorists or other people trying to undermine society can be jeopardised if all information is made available to the people concerned. I trust I am not bowdlerising what is quite a complex position, eloquently expressed at the lunch by Alex himself. Anyway, this is a story that is going to run and run, not least as, so Alex believes, networks such as Al Qaeda are gowing in some areas of the world, including Yemen and northern Nigeria, posing a real thraat to the UK’s security. ‘Debate about terrorism has been characterised by ignorance,’ he declared at one point. Clearly, he will continue to take his stand, even when other elements in the party raise what for them are valid concerns about the infringement of civil liberties. There are many good reasons not to read the Times, Rupert Murdoch being the most obvious. But one of that newspaper’s best features for some years now has been the output of political cartoonist Peter Brookes. Like all the best of his breed, he is topical, irreverent and puts the boot in where it’s needed. Unlike some cartoonists, however, he draws charicatures that are clearly identifiable, no matter how far-fetched the distortion. I think particularly of his Nature Notes, which have, for example, featured Harriet Harman as a praying mantis, Nicolas Sarkozy as a cockerel on stilts and Hazel Blears as a snail. 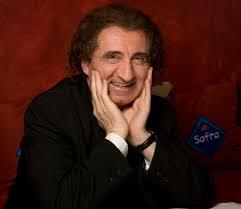 No-one of any political party or natonality is free from his humorous barbs. Fortunately, every so often his very best cartoons appear in beautifully reproduced full-colour collections such as the one I have been savouring this afternoon: The Best of Times… (JR Books, London, 2009; £15.99). Peter Brookes holds no-one sacred, be it the Pope, the Queen or Barack Obama. Moreover, his willingness to get right to the bone prompts outright guffaws, such as his drawing of a very smug Bill Clinton declaring: ‘Fellow Democrats, trust me! Would I ever leave a sour taste in you mouth? !’ Because the volume covers the final years of the last Labour government, both Tony Blair (over Iraq) and Gordon Brown (portrayed naked on a sofa, in a pastiche of Lucian Freud’s ‘Benefit Supervisor Sleeping’) get it in the neck. I particularly love the image of a manic Cherie Blair, with terrifying grin, typing her autobiography on an old-fashioned cash register. And there is an unfogettable image of John Prescott impaled by a croquet hoop on a croquet lawn while Peter Mandelson aims a ball straight between his legs. As Liberal Democrats were not yet in government, they don’t fgure very much in this collection, apart from poor old Ming Campbell drawn alongside a Thora Hird-style stair-lift and Nick Clegg as a bird called the Great Shag. 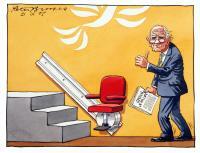 But I am sure there will be lots for LibDems to groan and giggle over by the time the next collection of Peter Brookes’s work comes out. There was standing room only at the National Liberal Club this lunchtime when Liberal Democrat leader Nick Clegg spoke at a question and answer session with local party members — one of a series he is doing around the country. He thrives on the rigorous debate that such ‘internal’ events engender, so was able to respond head-on to challenges such as why it always seems to be LibDem Government Ministers who get to front the bad news, and whether we ought to be seen to be so chummy with the Tories. This gave him the opportunity to explain a little how the Coalition government works,as well as to agree with the questioner who said that all the media seemed to be stacked against us, and to clarify several of the ‘wins’ that there have been because LibDems are now in government. He reminded people that for all of Labour’s shrieking about cuts, under Alistair Darling’s (Labour) plans, seven out of eight pounds being cut by this government would have been cut by a returned Labour administration, had Gordon Brown not lost the election. 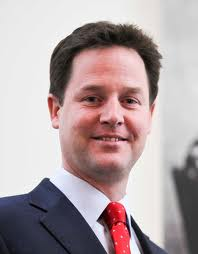 Nick defended the British armed forces’ involvement in Libya, describing himself as a Liberal Interationalist as well as a Liberal Interventionist, but he assured one lady that British troops will be out of Afghanistan before the 2015 election, as a result of LibDem pressure. Today has been the most exciting — and in many ways extraordinary — day in British politics for a generation. Suddenly it looks as if the country has its first coalition government since the Second World War, in which the Liberal Democrats will be the junior partners to the Conservatives. I am struck by the analogy with Germany’s coalition government, of Angela Merkel’s CDU-CSU and the Liberal FDP, though Britain’s LibDems are much stronger than the FDP and should therefore, in principle, be much weightier in government. Of course, there is the technicality that the coalition deal has to be endorsed both by the Liberal Democrat parliamentary party and by a special conference of party members, which is expected to be convened in Birmingham this weekend. I hope to goodness neither of those groups will throw a spanner in the works. I know, many of us would have preferred a grand coalition of progressive forces, bringing together the LibDems, Labour and some of the smaller parties, such as the Alliance of Northern Ireland and the Green. But Labour blew that possibility yesterday by giving the clear impression to LibDem negotiators that they weren’t seriously interested in a deal (unlike the Conservatives). It was evident that too many Labour MPs were opposed to working in government with the LibDems; they wanted all or nothing. So Labour has wilfully put itself into opposition, which is actually what the electorate seemed to want them to do. And it will now be up to the Liberal Democrats to add a Liberal flavour to the change for Britain which David Cameron has been trumpeting. Some of the changes will be painful, given the huge deficit this country now faces. But Liberal Democrats will be endeavouring to ensure that it is not the poor who have to shoulder most of the burden of tackling that deficit and that we do move towards a fairer society. Tweet If You Want STV! This morning I was the guest speaker at the AGM of DAGGER, the pressure group within the Liberal Democrats that campaigns for electoral reform, and specifically for the the adoption of the single transferable vote (STV) in multi-member constituencies. It’s interesting how what used to be considered a fringe issue of interest only to a few hardy souls like the late Enid Lakeman has now become maintream in the British political debate. And quite right too. The political system in Britain is ‘broken’ and electoral reform is an essential part of the repair kit. Alas, Gordon Brown has decided that any change should be to the far less proportional Alternative Vote (AV) system in single member constituencies, which is not even as much of a change as the Jenkins Commission recommended back in 1998. However, as I said in my presentation this morning, reformers should take advantage of the debate in the run-up to the proposed referendum to promote the other options, notably STV. But much of my speech concentrated on urging electoral reformers both within the LibDems and beyond to go viral — in other words, to get out there on Twitter and Facebook, and to post comments on political blogs. That is also an excellent way of getting more younger people involved in the campaign. The British House of Commons will be voting later today on whether to hold a referendum on changing the country’s first-past-the-post system of electing Westminster MPs with the Alternative Vote (AV), which would give voters a slightly greater say in choosing their representative as they could order the preferences — 1, 2 etc. For most supporters of proportional representation — which includes a majority of Liberal Democrats — AV falls far short of the ideal. The Single Transferable Vote (used in Nothern Ireland, amongst other places) gives a much fairer outcome. Moreover, the AV system being suggested falls short even of AV-Plus (which involves a top-up list to ensure a more proportional outcome) which was recommended by the late Roy Jenkins and his Commission way back in 1998. That Commission was largely a result of Labour’s 1997 Manifesto commitment to consider introducing PR, but of course fairer vtoes then disappeared off the government’s agenda and have only been resuscitated by Gordon Brown in the twilight of the Labour administration in the hope that this might somehow assuage public anger at the MPs’ expenses scandal. Some bloggers argue that AV would be even worse than first-past-the-post, but I hope the vote in the House today does approve a referendum, as this will then open up the whole issue of electoral reform. Those of us who want STV will then have an opportunity to make our case on a matter previously dismissed by the mainstream British media as ‘marginal’. Indeed, I’ll be taking part in a workshop at the Friends Meeting House in London next week aimed at taking the debate further. Three British members of the House of Commons (all Labour) and one Conservative peer are to be charged with offences under the Theft Act, relating to allegations of false accounting for personal gain. They strongly deny the charges and intend to fight cases that are expected to come to court next month. The specifics range from claiming for a mortgage that had already been paid off to falsified invoices for cleaning and other services. Prime Minister Gordon Brown has expressed his anger over the alleged abuses by his three MPs, former Minister Elliot Morley, Jim Devine and David Chaytor, and Lord Hanningfield has had the Tory whip withdrawn in the House of Lords. One must not prejudge the outcome of the trials, nor should one gloat over the fact that there are no Liberal Democrats involved. Scores of other MPs and peers must be breathing a sigh of relief that they have not had criminal charges brought against them, despite being reprimanded and in many cases obliged to return thousands of pounds of allowances. The system that was exposed in last year’s expenses’ scandal was wide open to abuse, and abuse it many parliamentarians did, sometimes with the encouragement of the parliament’s own Fees Office. The charging of the three MPs and Lord Hanningfield will not bring closure to the affair, however. 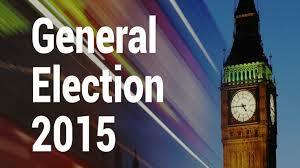 It is a running sore which will fester right into the forthcoming general election campaign.